Raise the woof in the Year of the Dog with an extravagant Tok Panjang buffet ($68 per person) at Folklore. 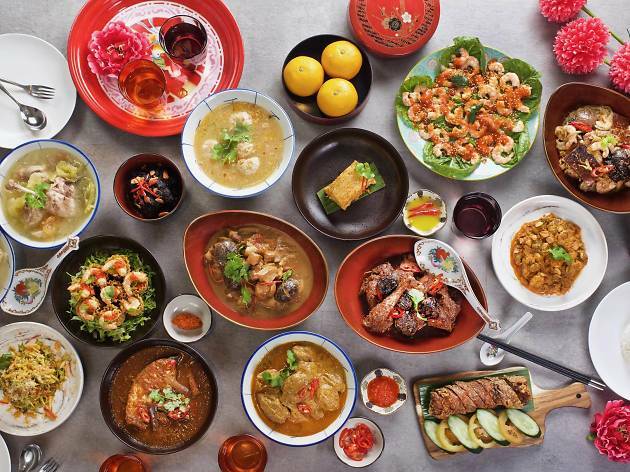 ‘Tok Panjang’ or ‘long table’ is a Peranakan tradition where a lavish feast is laid out on a long table to celebrate the New Year. 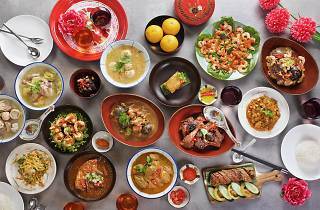 Be greeted by 15 heritage dishes showcasing recipes from Chef Damian’s grandmother. Expect braised pork slow-cooked with fermented bean paste, dried mushrooms and dark sugarcane and Peranakan classics like pie tee, ngoh hiang and chendol on the table.